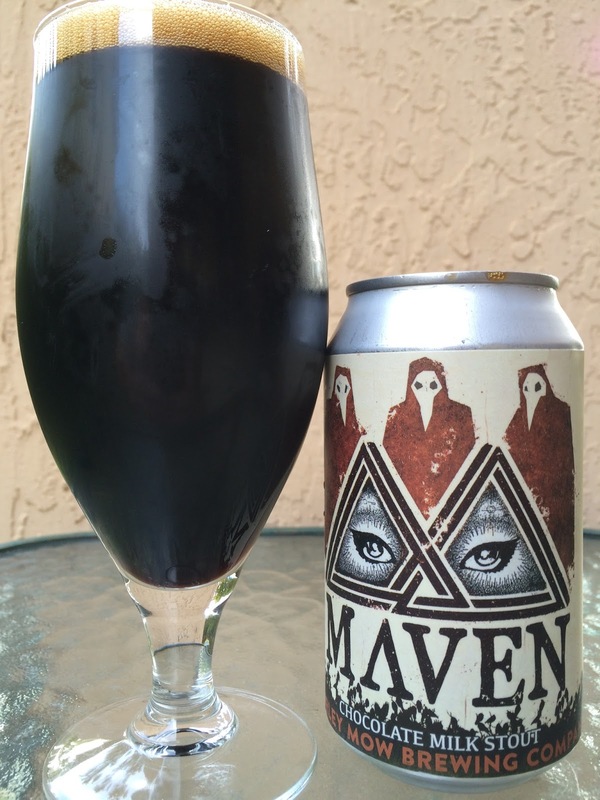 Today I'm checking out Maven Chocolate Milk Stout brewed by Barley Mow Brewing in Largo, Florida. The can's label is cloaked in secrecy: three robed and masked illuminati members stand guard over the eyeballs peering back at you. The story on the back talks about secrets and mysteries, especially about this beer, "for those those who seek a truer flavor in a complex world." Pair with BBQ Beef Brisket, Goat Cheese and The Meaning of Life. 6.5% alcohol. 22 IBUs. 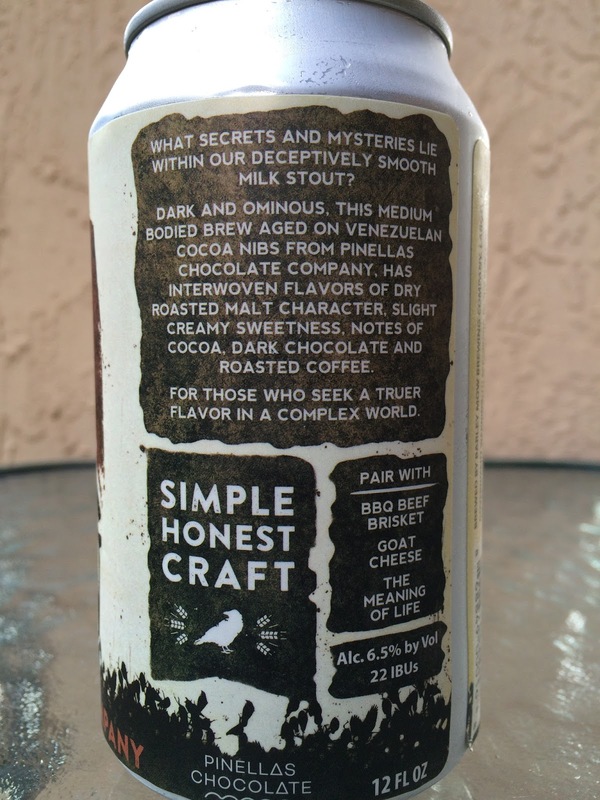 This beer is brewed with chocolate from the Pinellas Chocolate Company. Roasted malt and chocolate aroma. Big roasted flavor to start, along with some chocolate and a touch of coffee. Char and smoke hints follow. Nice creamy texture. Light sweetness in the background takes the edge off an initially aggressive roasty bitterness. And while a little warmth took on some of that harsh roasted flavor, I could have used a little more sweetness and less roasty bang! Check it out and let it warm up a bit.